ULTRA-Rare! 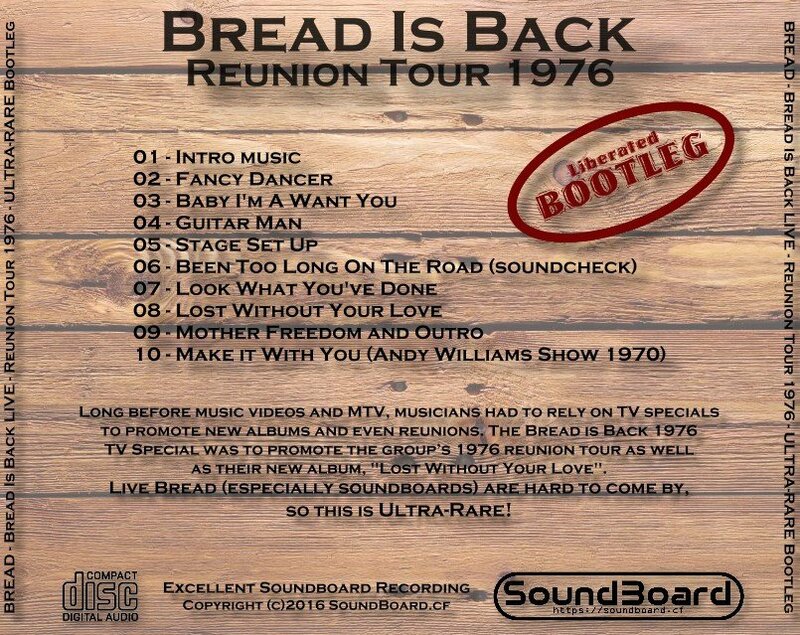 Reunion Tour 1976 plus bonus 1970 performance. Various venues. Audio extracted from TV broadcast. Very good to excellent soundboard. Long before music videos and MTV, musicians had to rely on TV specials to promote new albums and even reunions. 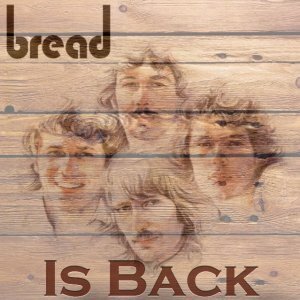 The Bread is Back 1976 TV Special was to promote the group’s 1976 reunion tour as well as their new album, Lost Without Your Love. Live Bread (especially soundboards) are hard to come by - so tis is really ULTRA-RARE! Is Back 0 out of 5 based on 0 ratings. 0 user reviews.